As we prepare to celebrate the birth of our saviour, Jesus Christ, prolific gospel singer, Naomee comes through with a special song for the season entitled “Merry Christmas“. 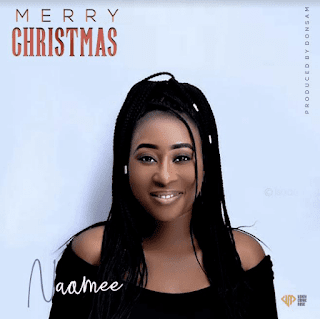 “Merry Christmas” by Naomee follows up her last studio effort, “Great and Mighty God” as well as her previous songs, “Beautified By Grace“ “Wait” featuring Chris Morgan, “Stand Up” amongst others. Naomee, is also a highly-sought after events MC and radio host with Max FM, Abuja.